"It was a great way to tell me," Emily Sadler told "GMA." 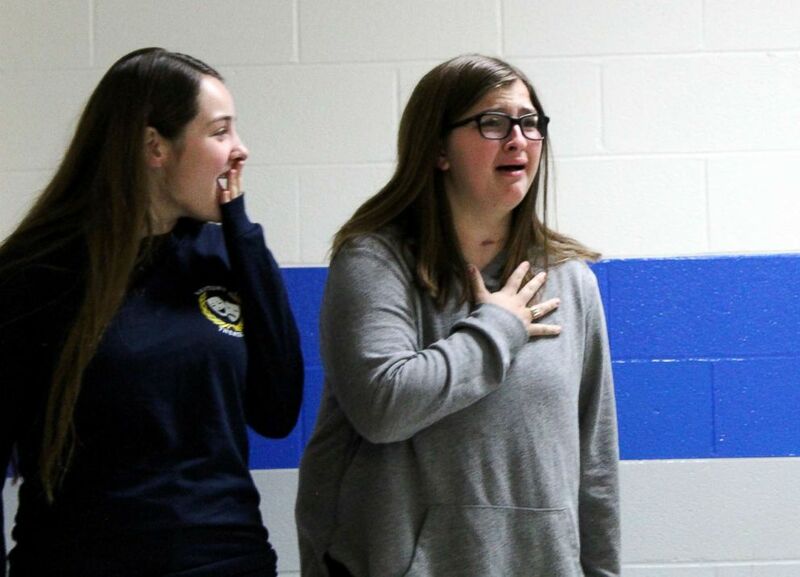 A girl recently received a huge surprise from her peers. They revealed to her that she had beat cancer. 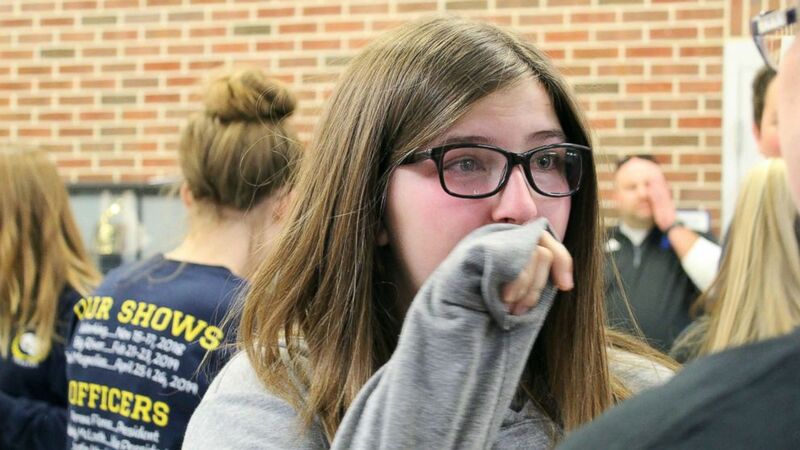 On Nov. 16, Emily Sadler, 15, a student at Raytown High School in Missouri, entered the hallway and was met with a roaring crowd of classmates and loved ones. "I walked out and saw a ton of people," Emily told "Good Morning America." "I heard them scream at me, 'Emily's cancer free!'" (Amy Sadler ) Emily Sadler received a surprise party from her classmates who shared news with her that she was cancer free. (Amy Sadler) Emily Sadler, 15, was diagnosed on March 4, 2017, with papillary thyroid carcinoma. Emily was diagnosed with papillary thyroid carcinoma on March 4, 2017. 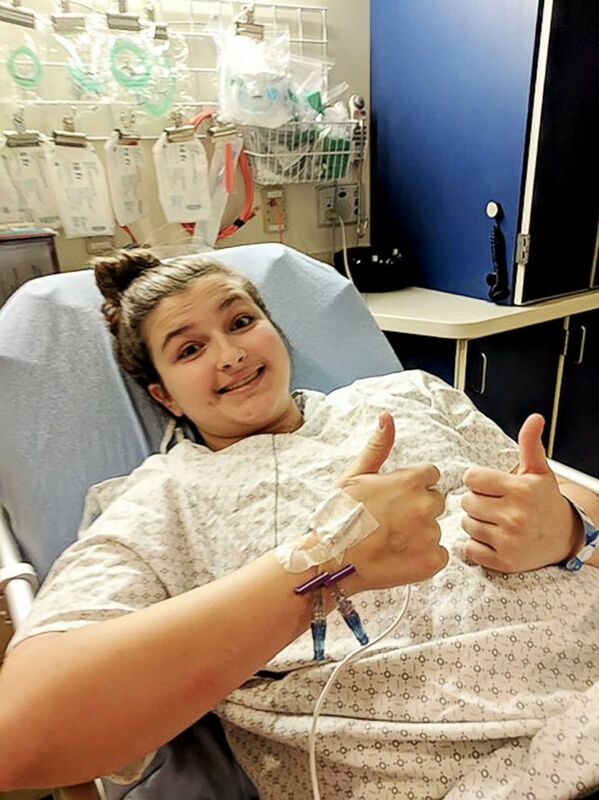 After a round of radiation and multiple surgeries, including one to have her thyroid removed, doctors told Emily's mother, Amy Sadler, that her daughter was officially cancer-free. (Amy Sadler) Mom Amy Sadler works at Raytown High School in Missouri where her daughter Emily Sadler attends and asked the school to help reveal the news to Emily that she was cancer free. (Amy Sadler) Emily Sadler received a surprise party from her classmates who shared news with her that she was cancer free. "November 13 is when they told me at her latest appointment," Sadler told "GMA." "I was going to do the surprise the day before Thanksgiving break, but I couldn't wait that long." She continued, "[Emily] has this amazing faith and a good, positive outlook on life. She was like, '[Cancer] is not going to get me down.'" 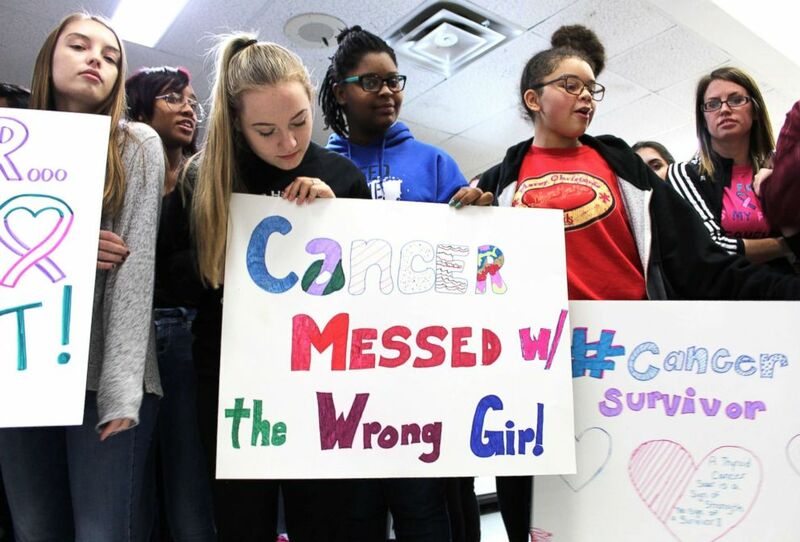 (Amy Sadler) Friends, family, teachers, classmates and church members gathered at Raytown High School in Missouri reveal the news to Emily Sadler that she was cancer free. Pittsburgh Penguins fan Kelly Sowatsky, 31, took matters into her own hands. Stephanie Campbell, 32, began losing her sight at age 19. Meghan Koziel, 29, is gaining attention for the banner she created. Sadler is the orchestra teacher at Raytown High, where Emily is a sophomore. 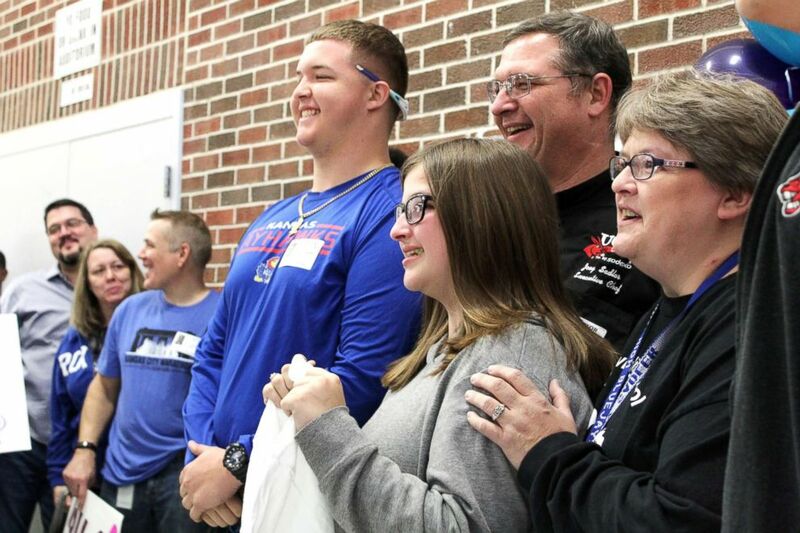 The mom of three gathered her husband Joey and sons Chris, 20, and Tim, 18, as well as Emily's grandparents, teachers, friends and extended family to tell the teen that she received a clean bill of health. 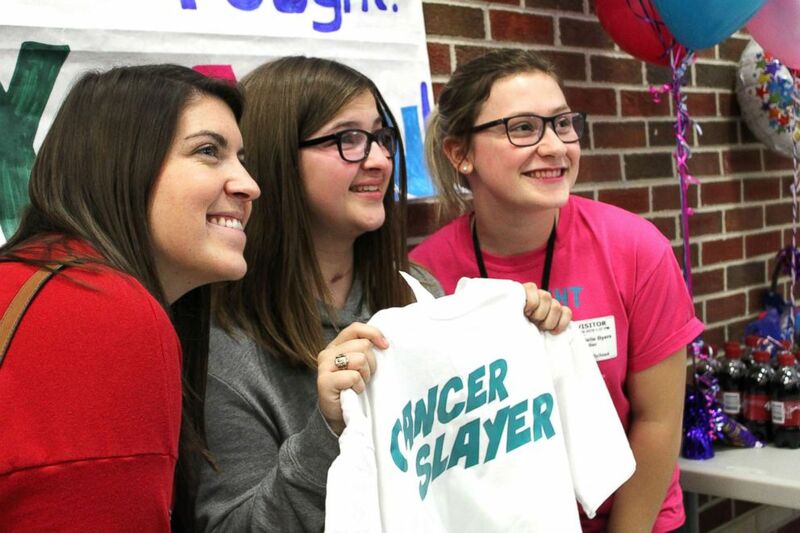 (Amy Sadler) Emily Sadler, 15, was surprised by her classmates on Nov. 16 with news that she was cancer free. "I told the whole class that the orchestra was taking a yearbook photo and had Emily taken out for a [mock] rehearsal," Sadler said. "When she got around the corner, everybody yelled, 'Emily is cancer free' and everybody cried." 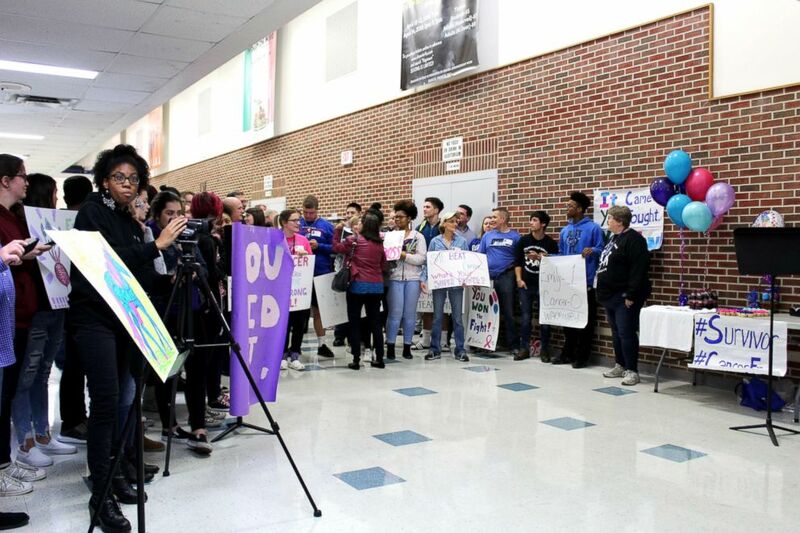 (Anna Ryan/Raytown High School) Emily Sadler, 15, was surprised by her classmates on Nov. 16 with news that she was cancer free. Emily said she was so happy to see everyone she loved in one place. "It was a great way to tell me," she said. "[The tears] really came down. It was like Niagara Falls."